Imagine if it were true – a diet pill that contained chocolate and banana. Sadly “Chocolate Banana” refers to the brand name rather than the contents. 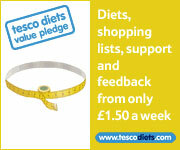 The main component is something called Sida Cordifolia, a relatively new and under used weight loss ingredient. So not to confuse or excite – there is very little chocolate contained and very little banana, none in fact. Chocolate Banana is not a misnomer but the name of the company that produces the diet pill. The Chocolate Banana diet pill contains mostly Sida Cordifolia, one of the UK’s most popular and best selling fat burning, energy boosting diet products. Chocolate Banana Sida Cordifolia can help to reduce excess body fat through a process called thermogenesis. Quite surprisingly the manufacturers of Chocolate Banana choose to ignore the above in their marketing material preferring to concentrate on its benefit to weight loss. Sida Cordifolia has an association with the alkaloid Ephedrine – again, but this time unsurprisingly the makers also ignore this. Sida Cordifolia may provide a health benefit for a multitude of other ailments but we guess you are interested in its weight loss potential. So basically a fat burner with a mild appetite suppressant. There is little doubt that the Sida compound had a benefit to all round health and well being – but as far as weight loss is concerned it is just another fat burner. Should not produce anything to concern in terms of a side effects – although some fat burners can cause insomnia, the jitters and feeling of unrest. If you are in need of a pick me up then consider – if weight loss is your main reason for purchasing then despite the cutesy sounding name look elsewhere. Chocolate Banana is given a partial thumbs up! 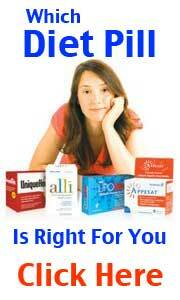 Capsiplex – its extremely hard to look outside of this commercially available fat burner. The media has coined Capsiplex the “miracle diet pill” after several reports in the national press have highlighted just effective this diet pill is. 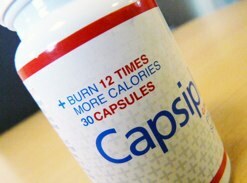 Capsiplex sold out after just 3 days of its release and sold a further 1 millions in its first 6 months.